My father used to say there are some things that happen in life you should never question. Just accept them, run with it and be quietly grateful. 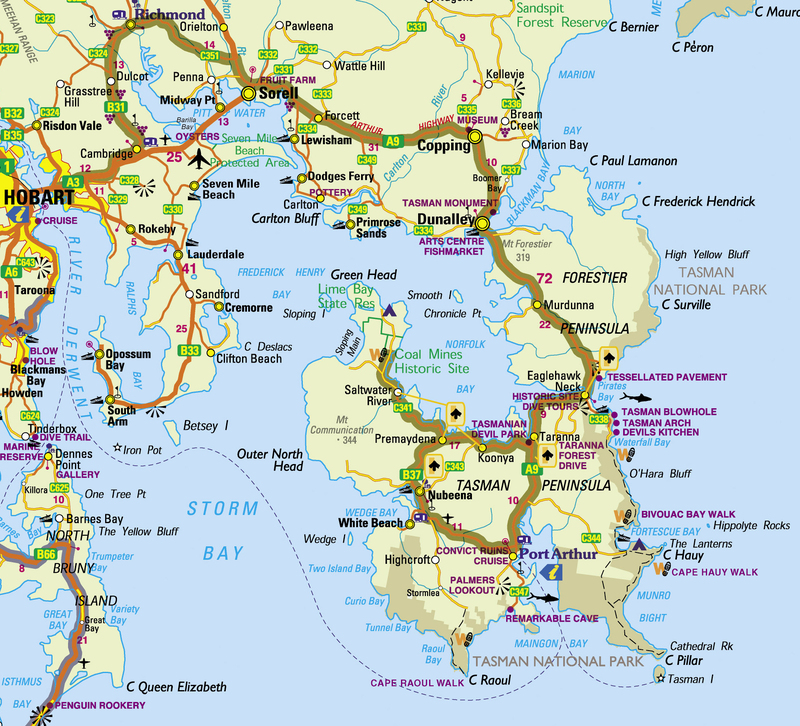 This is a story about one of those times…..
Friday 4th January 2013 and I was at home in Hobart. My gorgeous new Seagull guitar arrived (subject for another post I think!) and I immediately rang my musical partner-in-crime and fellow Fringe Dweller, Mal Battersby. We were gearing up to have a rehearsal down at Mal’s lovely house in Murdunna the next day and we had gigs to prepare for. For overseas readers, this map might make things clearer. 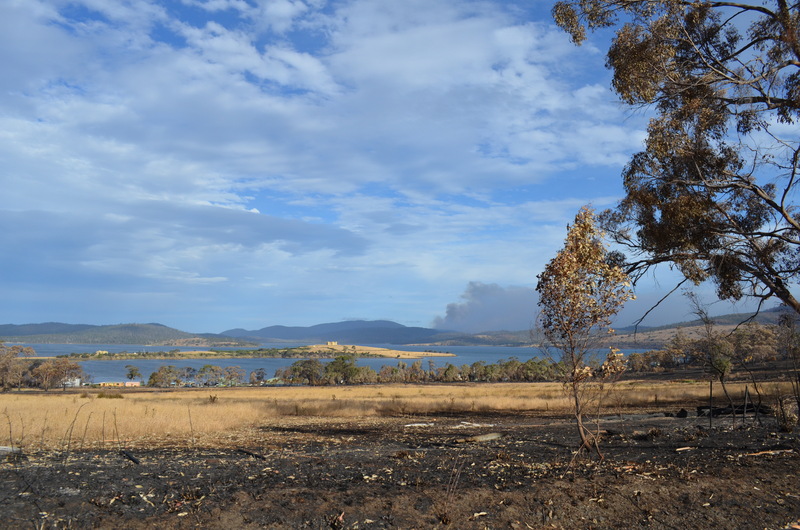 It was a very hot day – record high temperatures (41.8 C/107.2 F) A grass fire started at Forcett, on the way down to Mal’s. Throughout the day we sent texts, both a bit on edge but fairly confident. Early in the afternoon Dunalley bridge closed (the only road access to the peninsula) and I heard stories from friends that Dunalley township was evacuating. About 3pm things started to get a bit more uncertain and just after 4pm, Mal sent this picture through on his phone…. 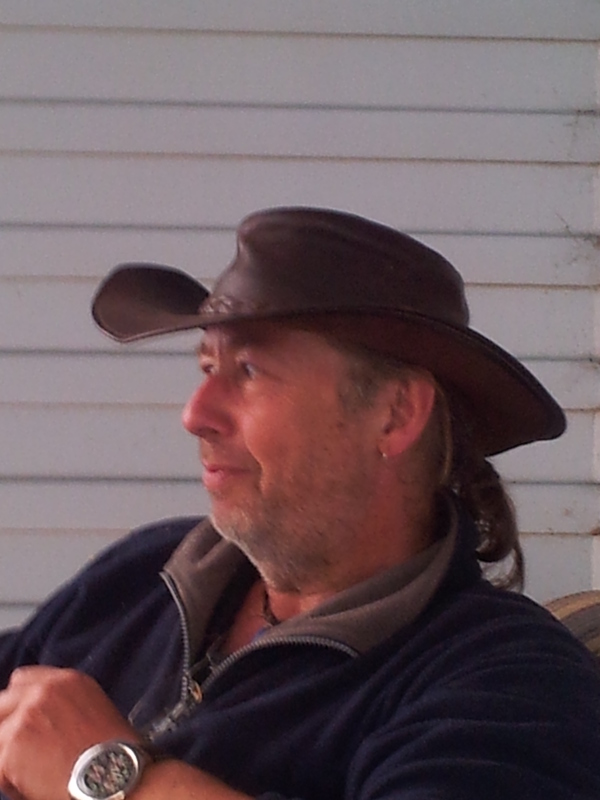 In the next few minutes all hell broke loose and all I can do here is relate my end of it – Mal’s story is his to tell. There was another phone call, trying to find out from ABC Radio what the latest update was. It wasn’t good, I remember screaming at him over the mobile to leave and leave now, and him saying the local police had turned up urging everyone to evacuate south to Nubeena, where an evacuation center had been set up. Another call from down the highway five minutes later that he was on his way, safe and had all his guitars with him. And then once he’d arrived at Nubeena, the text I’d been dreading – “house gone”. The next 24 hours were simply awful, being stuck in Hobart and feeling so helpless. 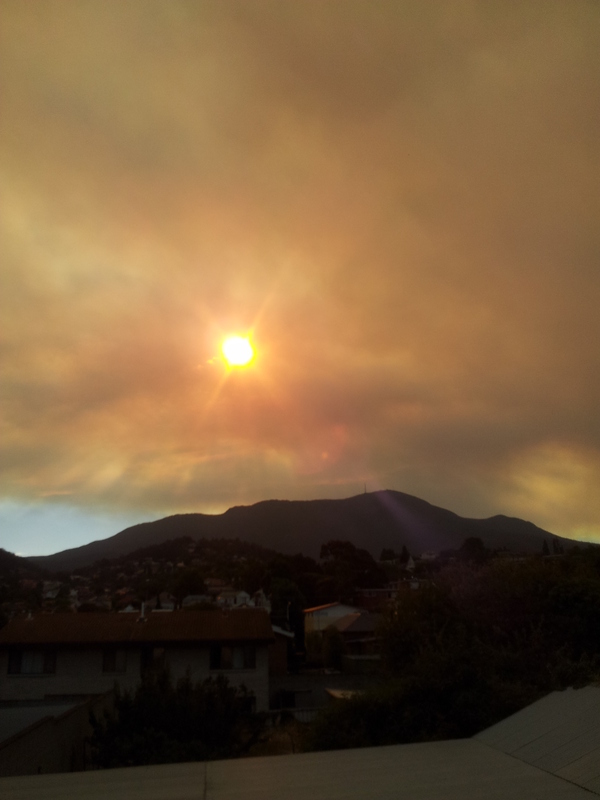 There were fires to the north of Hobart as well, and the city was covered in an acrid pall of smoke. So many people started to contact me, trying to find out what was happening with Malcolm, his instruments, home and recording gear. I was a little overwhelmed by it all – but found a positive way I could help finally! – I started posting Facebook updates on Mal’s situation so that our many friends would know as much as I did. There was no power down at Nubeena to recharge phones and limited mobile phone reception (I later found out that only one phone tower survived the fires!) so there was no contact from Mal for 10 hours. During this sleepless first night I have to acknowledge the support of WHUM Radio in Indiana US. They chatted to me over Facebook throughout the wee small hours and kept me sane – thank you! 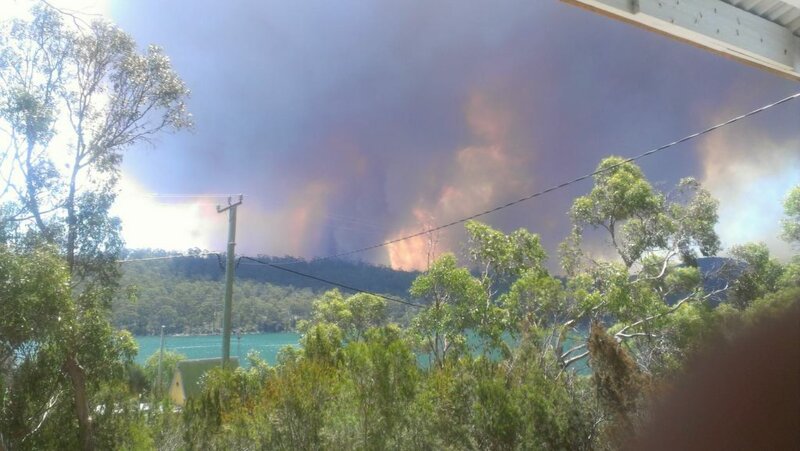 The next few days were a rollercoaster – stories of miraculous escapes and utter devastation across the Tasman Peninsula – but also now at Bicheno on the east coast and the north and north west. With the fire north of Hobart as well it felt like our entire precious island was on fire and I was helpless. 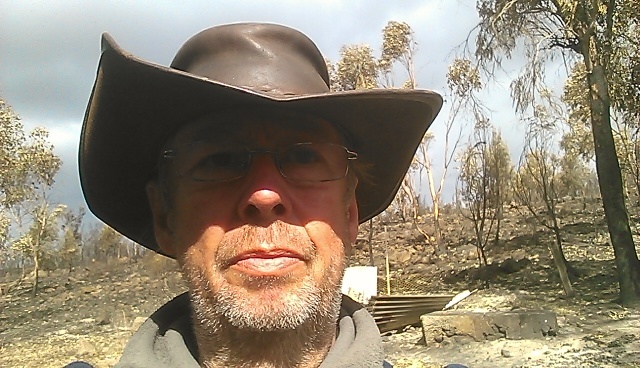 I played my guitar, tried to sleep whenever I could, kept my mobile phone permanently on and constantly listened to ABC Local radio for the fire updates – and kept adding to my Facebook page with any tiny bit of news I could glean. One of the things about a small place like Tasmania is that I don’t think there was anyone who wasn’t impacted – we all had someone (or multiple people) who had been directly affected. I was devastated to find out an old friend and fellow musician Joff, lost all his guitars and amps in the fire up at Bicheno. I also spent time tracking down one friend especially who hadn’t been heard from since the Murdunna evacuation order had been given. I found him eventually thanks to diligent friends and Facebook! Not ashamed to say I wept like a baby – after 2 days of thinking he had nothing but what was in the car this was unbelievably good news. And of course, the outpouring of similar sentiment to my Facebook update was awesome – I think we all collectively cried for joy. By Thursday I had my car boot crammed with LED lanterns, batteries, a gas tabletop cooker and butane gas bottles, little luxuries like good coffee & tea, top line tinned meals and soups an amazing array of chocolate, biscuits, cheese and crackers, bourbon and multiple car chargers for mobile phones (now distributed around the community). Thanks to Tasmania Police, I was able to drive down with two friends in the first civilian convoy and get to Mal’s. The big thing for all of us was the random nature of the fire. One side of the road was fine – across the road was carnage. The damage is so indiscriminate. For those of you who haven’t been through this kind of disaster (and I sincerely hope you never do!) it’s hard to describe what it does to you. The trivial things go out the window, the friendships you have are deeper and more meaningful. And “now” becomes critical because in the end it’s all we really have. Kudos to Tas Police, Tas Fire Service and ABC 936 Hobart. You are all wonderful. Over 20,000 hectares burnt and not a single life lost! 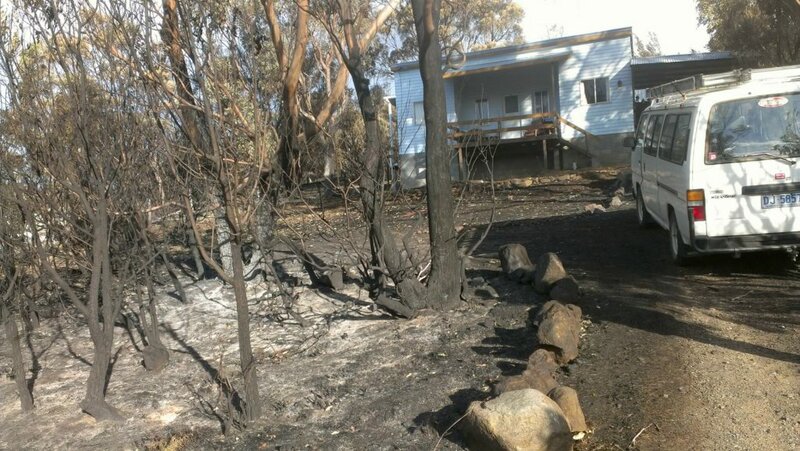 Finally, if you have the money spare please consider a donation to the Red Cross Fire Appeal. So many more people are much worse off than our Malcolm! Next time something not so dramatic, so stay safe and don’t be afraid to tell people you love them.